Or preview some of the content. Contact us for offers and discounts. Advanced exploit development techniques, explained step-by-step by world-class hackers. This course will teach you fundamentals of exploit development, and walk you through hours of hands-on reverse engineering and exploit development practices, making you comfortable in pursuing the field on your own. It also enables you to take part in our upcoming, Advanced Exploit Development course. The course is taught by some of the world's best hackers, with real, hands-on hacking experience and not just security training. Our instructors have worked in many of the world's top hacking teams, have received hacking bounties from many well-known companies such as Google and Facebook, and have worked as cyber security consultants in companies such as Google, Facebook and Intel. This is one of our unique courses, because every advanced security research institution has its own tools and methods for exploit development. In this course, we will provide the students with detailed exploit development. The participant will be able to exploit application vulnerabilities by developing exploitation codes that are reliable and effective, yet are not signature friendly. Upon successful completion of course materials, you will receive a certificate of completion from Exdemy. Upon passing ZDResearch's exam, you will receive the ZDResearch Win32 Exploit Developer (ZWED) certificate. Fabulous course! Hats off to you. Thank you for bringing this course to all of us! Very informative even for people with no prior knowledge of exploitation, I wish they could make another course. The course has a decent amount of material about exploit development, although it does not include some very recent techniques. The materials are initially hard to understand, but going through the exercises and reiterating hands-on videos helps with learning them better. Audio quality is not great, particularly the volume, and that's why it's not 5 star. Copyright © 2018, Exdemy Ltd. 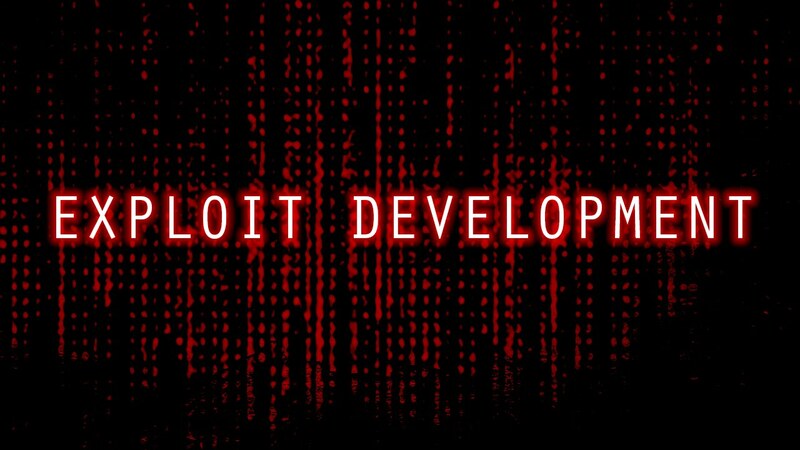 Enter For a Chance To Get Exploit Development FREE! Just enter your name and email address, and you may have a chance to get Exploit Development for free!